Islamic extremists pose an increasing threat of violence in Finland, the Finnish Security Intelligence Service (Supo) estimates in its most recent threat assessment. Today, the threat is posed mainly by so-called lone-wolf terrorists, whereas the threat of an organised terrorist attack remains low, reminds Antti Pelttari, the director of Supo. Pelttari in an interview with STT also emphasises that Supo is not aware of any concrete terror plots against Finland. The threat of an attack carried out by lone-wolf terrorists, Supo explains, has increased due to the growing number of Finns participating in the ongoing civil war in Syria – as it has also elsewhere in Europe. “The anti-Western world-view of such people and their perhaps lowered threshold and personal reasons to use violence are factors that increase the risk,” Supo views in its assessment. The threat is at its highest during major international events, according to Supo. An estimated 30—40 Finnish citizens are believed to have travelled to Syria to take part in the hostilities. Three of them are presumed dead. Päivi Räsänen (Christian Democrats), the Minister of the Interior, said in an interview with STT on Thursday that she takes the threat assessment by Supo seriously. According to Räsänen, it is important to raise awareness of the phenomenon to enable families to detect the warning signs and, if possible, to intervene. 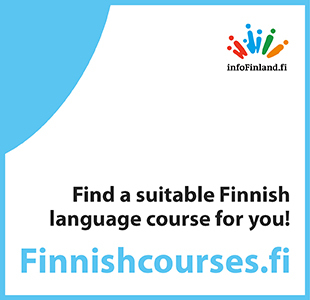 In addition, it is necessary to offer support to people who return from conflict areas to facilitate their re-integration into the Finnish society. Sweden's Dagens Nyheter on Tuesday reported that at least six Somali women left Sweden in May to take part in the fight against the regime of dictator Bashar al-Assad in Syria. “Their parents are embarrassed, shocked and sad,” Ibrahim Bouraleh, the chairman of the Islamic Association of the district of Jävra in northern Stockholm, described to the daily. “No one knows what they are doing there,” Bouraleh added.